Boston’s latest construction boom reveals harsh realities neighborhoods of color have been painfully aware of for some time: builders doing business in Boston routinely fall short of city of Boston diversity targets for jobs; and some firms even game city diversity goals entirely by making false claims about employing firms and workers of color! As the adage goes, black and brown folks in Boston see more out of state license plates and workers that don’t look like them at construction sites in their own neighborhoods. These observations and antidotes are now backed up by city of Boston data. Poor diversity numbers from noncommittal businesses doing construction notwithstanding, the city of Boston is just as poor at instituting its own diversity goals. And it’s not just about a commitment to diversity. During the development of 225 Centre Street at Jackson Square, Mitchell Properties and The Community Builders solicited and got 25% of its project funding from the AFL-CIO Housing Investment Trust (HIT), a union pension fund. 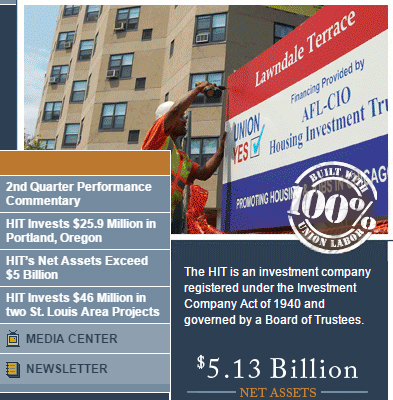 HIT boasts recent lending assets of over $5 billion dollars, with the slogan “Built with 100% Union Labor”, allowing it to dictate the terms of project labor agreements (PLA) where HIT funding is provided and beyond. Noting construction projects need funding, money from HIT comes with strings attached. Namely, workers and subcontractors on a project must be unionized. In the case of 225 Centre Street, trade unions realized commanding control over labor policy for providing only 25% of the funding! But such sweeping control over labor negotiations and increasingly lower membership rates compared to the work force at large, bring into question trade union inclusiveness, given their checkered past for a diverse workforce. While some progress has been made around diversity, much work remains for these unions in totality to become more representative of the construction hotbed happening in urban neighborhoods across the country. “Membership has its privileges” should not exclude the vast majority that wants to work! And that’s the rub when one considers the nearly 300 state registered minority business enterprises (MBE) in Boston are not union shops! 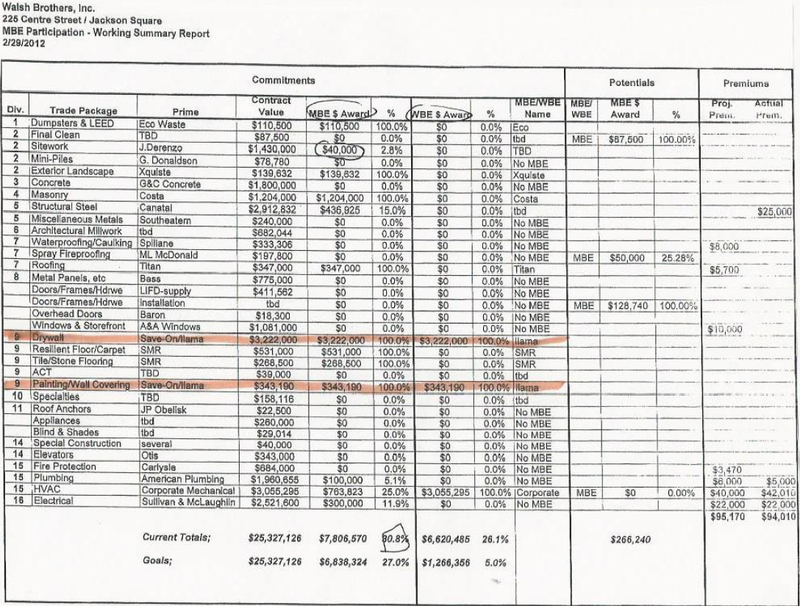 Moreover, the 75% balance of funding to build 225 Centre Street was private equity, city, state and federal dollars. This one policy is responsible for the developers, Mitchell Properties and the Community Builders, disqualifying every firm of color and local business in Roxbury, Mattapan and Jamaica Plain solely on the basis of union membership. One union MBE firm in Dorchester did qualify. But in the end, the project missed its MBE utilization goal of 25% on $53 Million dollars of budgeted work. 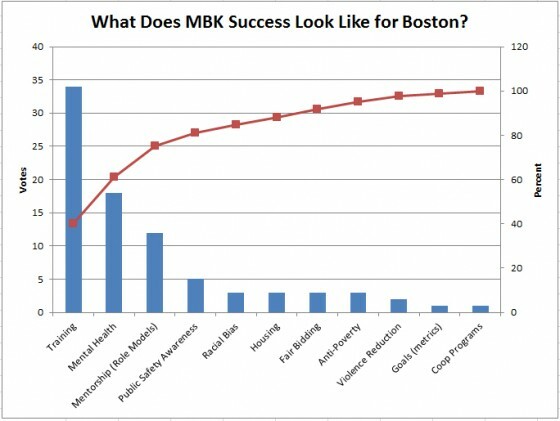 Mitchell Properties and the Community Builders attained just 1% MBE utilization for firms residing in the city of Boston, begging the question: whose community are we building anyway? This kind of deliberate rewarding of bad developer behavior by our city is just how the development game is played! On the one hand, community advocates charged with project oversight at 225 Centre, the Jackson Square CAC, was disbanded by the BRA for raising issues of inclusive utilization of workers and businesses of color that in the end lead to protests over hiring. On the other hand, the BRA approves recent Blue Hill Ave. development amid similar community outrage against TCB. What’s very clear is this: too often when community concerns are raised, the BRA sees these voices of concern as rabble-rousing to be silenced, rather than representing the community’s best interests. 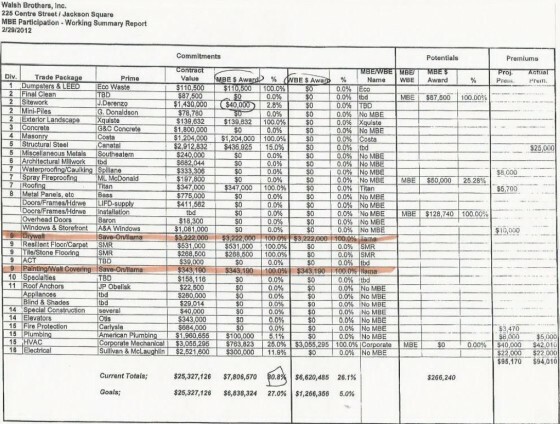 Interests that see city, state and federal funding dollars going to a development project, and getting an unwilling and unsuspecting tax payer nod to this illegal quid pro quo union only work policy. This gives a minority of all workers who happen to belong to a union — about 15-20% locally and 6-7% nationally — the upper hand. That leverage often discriminates on the basis of race and gender, given many trade unions are far from diverse (few registered firms of color or firms headed by women (WBE) maintain union membership in Boston – Roxbury for example has no MBE union businesses according to Massachusetts state records on the SOWMBA website). 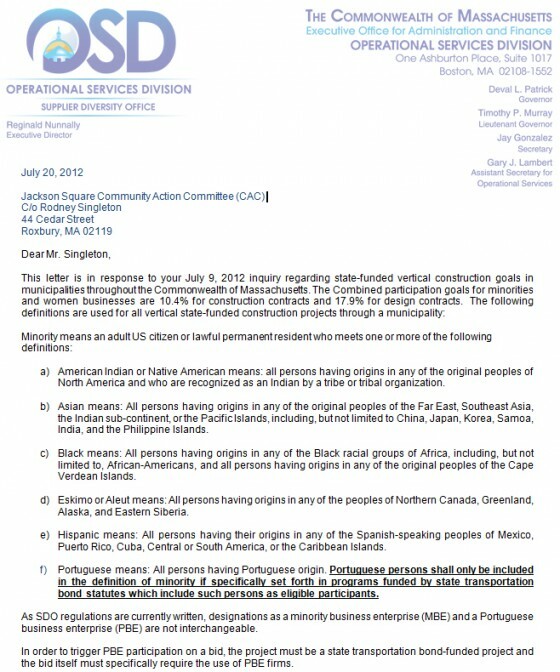 So it’s clear the policy of insisting union only labor for construction projects in the city of Boston benefits a privileged few and encourages racial and gender bias. Put bluntly, the policy represents a form of institutional racism and sexism. Notably, Boston is known for its racial bias and bigotry. Who could forget the ugly aftermath of court ordered busing to racially desegregate schools? It would be a giant step forward to finally shake that stigma! Digging deeper though, the lesson city construction data imparts couldn’t be more profound! If we look at the busiest firms capturing nearly 80% of all of the work hours logged in the city of Boston, the ones being awarded bids and sanctioned permits to build, we see that only one firm out of 23 demonstrates an honest commitment to a diverse work force. But that same firm is near the bottom of firms doing roughly 80% of all the work in terms of hours. The city of Boston is ranked second, from an hourly perspective, but only manages to engage a percentage of roughly half that of the 22nd busiest firm when it comes to Boston residents and workers of color. Even more striking, only one firm ranked in the top five for each metric is sixth from the bottom in terms of hours! Cruz Development is that firm. This firm of color ranks number one in workers of color at 77.9%, number three in Boston residents at 54.4% and number four, hiring women at a rate of 6.2%. But for all that excellent work and commitment diversifying its work force in the community of Roxbury it claims membership to, ensuring its workforce represents the communities it serves, Cruz Development gets awarded with sixth from the bottom (44th out of 50), in terms of hours? How much more deliberate can our city say “diversity doesn’t matter” than to recognize best practices that produce the best diversity results are rewarded with fewer work hours and fewer opportunities to grow such firms and disseminate diversity strategies that work? Cruz Development is an open shop (non-union) development company that the city, trade unions and the Mayors building pathways program, instituted to encourage a more diverse trade union membership, should take note of! Sadly though, not recognizing what works is more a statement of our city’s poor commitment to diversity. A goal of 25% workers of color is the low bar, given people of color represent more than 53% of Boston’s population and often 80-85% in their own neighborhoods like Roxbury. If the city wanted to set an excellent example for workforce diversity, it could simply contract all development work out to Cruz Development. But an excellent example of diversity is not all the city would get. Based on the city’s own data, it would also be growing a firm of color to nearly 14 times its size in terms of awarded work hours. That growth connects and spurs work well beyond the walls of city hall and creates work opportunity and economic development precisely where it’s needed most: in the neighborhoods of Boston! In contrast, however, 80 to 90% of DND development dollars for housing go to building the capacity of Community Development Corporations (CDC), over building the capacity of small to medium sized businesses in Boston’s neighborhoods of color. The effect of this policy over the years has been devastating for two reasons. As recent Boston data supports, firms of color are excellent models for workforce diversity. But these ideas and best practices for a more inclusive workforce have never been leveraged widely in our city. Additionally, what’s not shown in the data is excellence in workforce diversity is also applied to engaging minority business enterprises (MBE) and local businesses, providing opportunity and growth potential to these firms. It’s no surprise DND funding patterns put CDCs Nuestra (43rd), Madison Park/Tropical (37th), Urban Edge (34th), Madison Park CDC (32nd) and Dorchester Bay (22nd) all ahead and building critical, sustaining and catalyzing business capacity over, Cruz Development, the one development firm of color in Boston outperforming each of the aforementioned CDCs when it comes to an inclusive workforce. The downside to fewer opportunities is a smaller business or a failed business altogether. Of the firms of color cited below, before Mayor Menino took office, roughly half are out of business and those that have survived struggle to appreciably grow. While no hard data exists beyond annual financial statements, if one were to poll businesses of color left standing doing business in Boston with the question “are you better off than 20 years ago?”, the answer would be a resounding NO! And any loss of opportunity for businesses of color is always explained away by the city and majority firms winning most of the work hours with, “firms of color don’t maintain the financial and bonding capacity required to execute large projects.” Taking a page out of Viola Davis’ speech for being the first black actress to take home an Emmy Award for outstanding lead actress, “The only thing that separates a woman of color from anyone else is an opportunity. You cannot win an Emmy for roles that are simply not there.” The only thing that separates a firm of color from any other firm is an opportunity! If firms of color are considered to have no deliberate role to play in our city, they’ll never be called, and they’ll never be given an opportunity to bid on work. In that scenario any business will wither and die, despite an otherwise healthy business climate. Strong financials, commensurate insurance and bonding capacity to execute and grow into larger projects is built on retained earnings from previous work. Lack of work translates to weaker financials, weaker insurance positions and weaker bonding capacity. Recent city data makes it very clear. Firms of color in Boston committed to diversity to sustain and grow their communities have been systematically work starved into extinction! This extinction is accelerated by games of control played by majority firms that are far from being called foul by firms of color, and in any court of law in the land such good faith effort claims by majority firms to move the needle toward a more diverse workforce would be ruled out and out fraud! 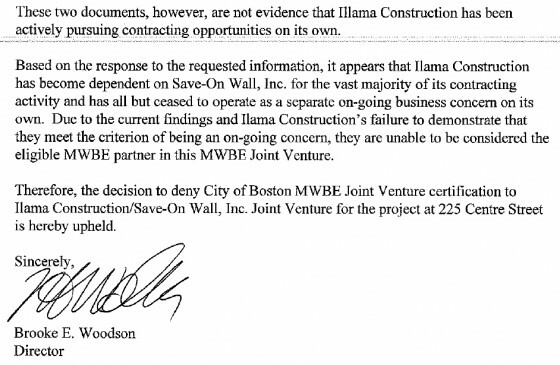 The joint venture of Ilamma Construction and Save-On Wall makes the case for fraud. In February of 2012, Mitchell Properties and The Community Builders, developers of 225 Centre Street at Jackson Square, claimed the joint venture of Ilamma Construction and Save-On Wall as a legitimate MBE and woman business enterprise (WBE), effectively double counting against both goals for the project (more on that later). A joint venture is meant to pair smaller firms with larger firms in an effort to build capacity of smaller firms. The joint venture was engaged to execute a drywall contract for $3,222,000 and a smaller contract for painting and wall covering for $343,190. These two contracts artificially pushed the developer’s commitment to diversity on paper to nearly 31% MBE utilization and just north of 26% for WBE utilization. On contracting work alone the MBE goal was 25% and the WBE goal was 5%. The entire project budget was nearly $53 million dollars. Ilamma Construction was the smaller firm, run by Millicent Young out of her home in Roxbury, while Save-On Wall was the larger company operating out of New Hampshire. 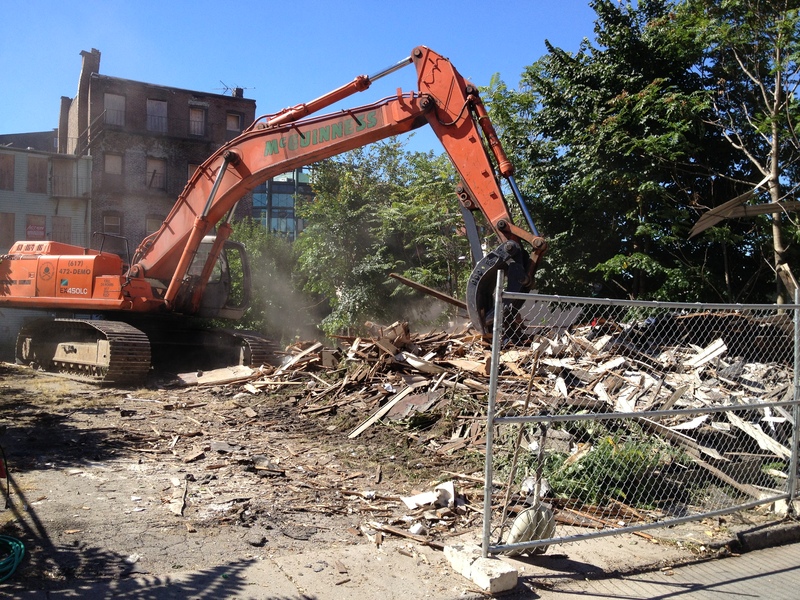 In April of 2012, Mitchell Properties and The Community Builders were warned by the Jackson Square CAC that Ilamma Construction was acting as a front M/WBE interest for Save-On Wall. In this front capacity and for a fee under the guise partnership dollars, Ilamma Construction would be facilitating fraudulent work hours to be claimed against utilization goals for both WBE and double counting MBE by Mitchell Properties and The Community Builders at 225 Centre Street. 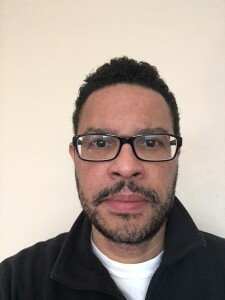 Considering the same fraudulent hours could be logged under both WBE and MBE categories (double counted), Mitchell Properties and The Community Builders violated the spirit and intent of what is means to grow and share opportunity in ways that truly help build capacity of smaller historically disenfranchised firms in the city of Boston by artificially boosting their diversity numbers. In its defense of the joint venture with Save-On Wall, Ilamma Construction was only able to demonstrate it was a domestic corporation in good standing with the Secretary of State’s office and had documentation from the United Brotherhood of Carpenters and Jointers of America stating that it had been signed with the N.E. Regional Council of Carpenters since June of 1997. While no MBE or WBE hours were logged, Save-On Wall went on to complete the contracted work at 225 Centre without Ilamma Construction’s participation. And while fraud was avoided through community vigilance and protest, the community body responsible for oversight and bringing possible fraud to light was disbanded by the BRA. Save-On Wall, the majority firm from New Hampshire, was rewarded with completing contracted work. Mitchell Properties, The Community Builders and the general contractor Walsh Brothers, were never investigated, fined or sanctioned for their treachery. Moreover, and more importantly, the front joint venture between Ilamma Construction and Save-On Wall put nearly $2 million dollars of business capacity building effort into New Hampshire, rather than in firms of color here in Boston. 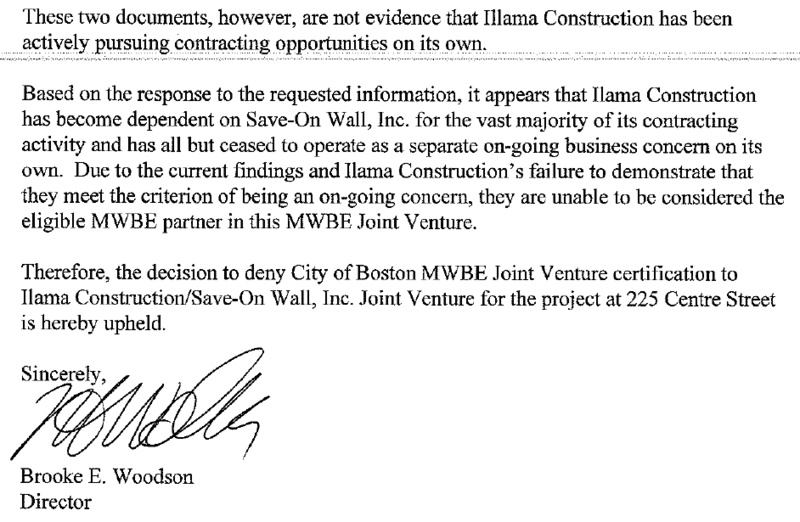 Denying the joint venture between Ilamma Construction and Save-On Wall was indeed necessary, but should have been followed up by the City of Boston with punitive action for all parties involved. The lesson learned: the city shouldn’t be so quick to cede all oversight of employment policy and business development to the BRA, developers or unions! If we’ve learned anything, the joint venture between Ilamma Construction and Save-On Wall demonstrates: the BRA doesn’t value community input as part of the development process; many developers act in their own interests and view the rules to be gamed; and unions established to protect all workers seem to only understand their immediate membership constituency, rather than a wider community that is not completely represented by their membership. And how firms and workers of color are represented is key! The Bruce Bolling building (AKA Ferdinand’s) is another development that calls into question how neighborhoods of color are represented or not. S&F Concrete, a company outside of the city of Boston, was the largest MBE contract awarded by Shawmut Design for $6,081,280 at the Bolling building. Claiming such MBE utilization for the project gave them street cred as “doing the right thing” in Dudley Square where roughly 85% of the population are people of color. 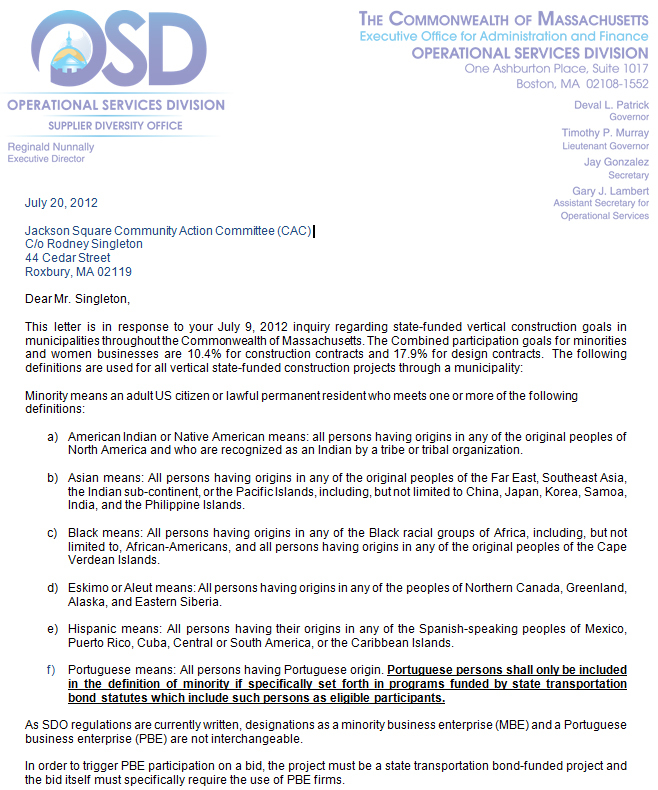 But S&F Concrete, a Portuguese firm out of Hudson Massachusetts, despite being a state registered MBE, is not a firm of color, nor is it representative of neighborhoods of color in Boston. The point of the Supplier Diversity Office (SDO) and the MBE website directory operated by our state is to register firms of color and firms headed by women that have been historically disenfranchised from participating in work opportunities across our state. How could state officials allow the integrity of this certification process to be gamed to benefit the largest concrete contractor in New England and the 16th largest in the US? The state’s own guidance is very clear: Portuguese firms are only considered minority on projects where funding by state transportation bond include them as such (note f)? This does not include vertical construction as contracted at the Bolling building! 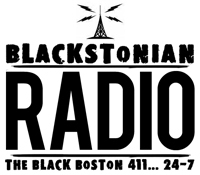 We’re left with a compelling question: how is the largest concrete contractor in New England, a Portuguese firm that ethnically speaking the city of Boston would never recognize as an MBE or a member of the disenfranchised, somehow disenfranchised and deserving of work at sites like the Bolling building in Roxbury as a business of color? Answer: S&F Concrete should never have been awarded work as an MBE at the Bolling site! The impact of majority firms maintaining economic control and power by any means has been devastating to our community and is particularly unconscionable given Bruce Bolling was THE champion of inclusion and diversity on the Boston city council — the height of disrespect to Bolling’s work, his memory, Blackstonians soldiering on in his stead and the building that bears his name! That devastation to a people becomes painfully obvious when one considers disenfranchised firms of color in Boston. 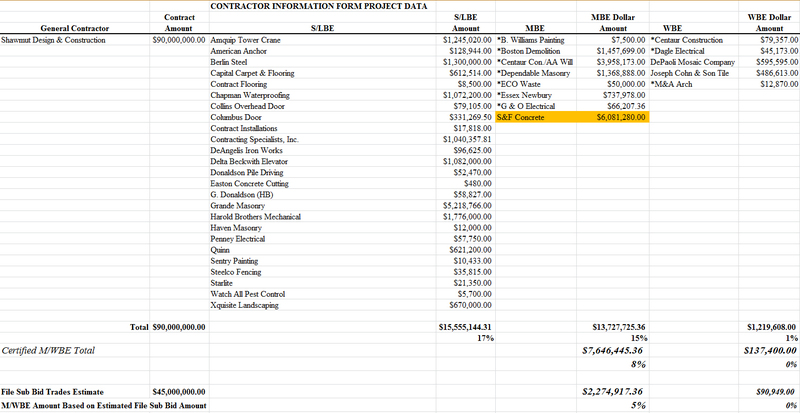 Boston MBE utilization at the Bolling building was less than 1% on $90 million dollars of projected construction work ($125 million when the dust settled). The reported 15% MBE utilization puts the vast majority of those dollars elsewhere, building communities outside of Boston! Not an outlier when one considers Mitchell Properties, The Community Builders and general contractor Walsh Brothers at 225 Centre Street in Jackson Square also claimed higher MBE utilization by using Portuguese firms Costa Brothers and Xquisite. 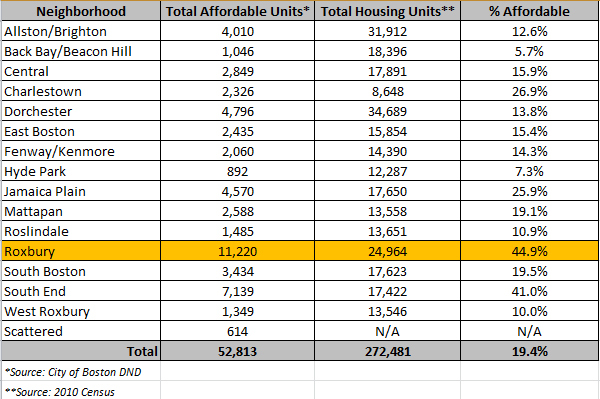 Similarly, the end result at 225 Centre Street was less than 1% Boston MBE utilization. Maybe easy access to guns isn’t the complete answer to solving gun violence on our streets. To date the BPD buyback program has taken over 1000 guns off of our streets. Is this metric alone a strong indicator of public safety? Perhaps fair access to a meaningful education and/or training that leads to jobs, careers and opportunities where earnings to live and a quality of life can be had, plays a more significant role sustaining and growing a community to safe haven. That pursuit of safe haven and home, the surroundings we know and are supported by, too often supports everybody else but us. 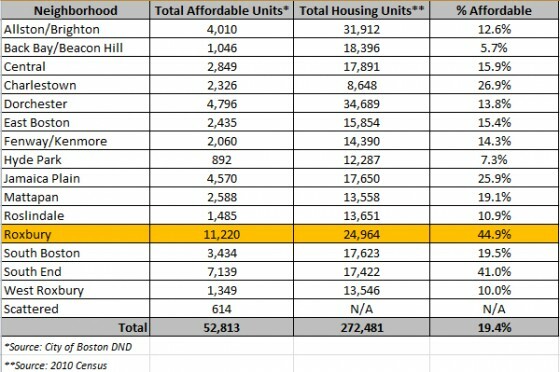 Based on Department of Neighborhood Development funding awards, it’s clear the city of Boston spends the lion’s share of DND housing dollars with community development corporations. The effect of decentralizing and ceding the city’s efforts to develop housing, and in particular housing that is affordable, has done communities of color more harm than good by: weakening capacity of small and medium sized for-profit, local neighborhood businesses; and by shrinking stabilizing, middle income housing inventories with steeply affordable housing programs that serve to saturate already economically struggling neighborhoods. A recent Supreme Court case, concerning the Texas Department of Housing and Community Affairs, held that the Fair Housing Act was violated because federal funding for subsidized housing wasn’t being spent to build in racially integrated areas where more opportunity existed, but rather in ways that segregate and concentrate poverty by deepening the predominately racial socio-economic divide. The Fair Housing Act was meant to deal with discriminatory lending practices like redlining that still hamper black and brown wealth building today. But as in Texas, so goes Boston. 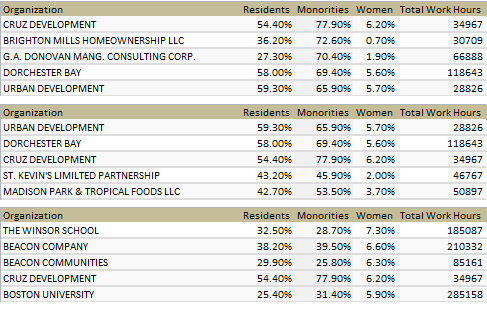 According to census data compiled by DND, nearly half of all housing units in Roxbury are subsidized. Moreover, concentrations of poverty in Boston’s neighborhoods of color are exacerbated by the city of Boston’s Inclusionary Development Policy (IDP). IDP funding streams that don’t recognize subsidized housing allocation requires a regional approach in order to achieve a balance of incomes in housing across the commonwealth and hence economic stability for growth, do a grave disservice to struggling communities searching for paths of economic mobility out of poverty. Boston’s IDP upends the most fundamental tool for communities color to build a financial future in our economy, enjoyed by white communities for generations: dynastic wealth through homeownership! In communities of color, IDP rarely helps build dynastic wealth, and more often than not only builds dynastic poverty! Despite CDCs like Nuestra Communidad claiming they’re fighting gentrification and poverty on our behalf in Roxbury, the fact of the matter is the very first phase of building at their development at Bartlett Place will be all rentals, the vast majority of which will be affordable with grocery shopping retail space. Where’s the hedge against gentrification and poverty if we own nothing and lack well-paying jobs to get ahead? Nuestra’s vision for the Roxbury community is completely counter to the economic development, through homeownership and affordable business spaces and opportunity the community expressed in the RFP. Adding insult to injury, Nuestra could only realize the homeownership piece by deceitfully and secretly selling a portion of its development site to a charter school that the Bartlett Project Review Committee voted down and the vast majority of folks in Roxbury don’t want. And discovering such news of a signed purchase and sale in the media speaks volumes about Nuestra’s willful attempt to subvert a process meant to be open and transparent to community input, for its own gain. The lack of respect for the neighborhood of Roxbury runs deep with Nuestra! A school of any type, that few folks in Roxbury can attend, is hardly the economic shot in the arm the community bargained for! Despite continued community resentment over a charter school at Bartlett , developers carry on knowing full well that if the process plays out to a BRA board vote, it’s a done deal and support for their vision over the community’s vision is assured. In the case of Nuestra and many CDCs that operate on the model of expansion of their rental footprint, our pursuit of safe haven and home translates to their bread and butter and opportunity to grow larger and larger real-estate holdings, while we remain poor! At times the path out of poverty is ambiguous. Take parcel 9 on Melnea Cass Boulevard in Roxbury for instance, a real political football. Somehow the people of Roxbury were convinced that workers at a hotel at Parcel 9 must be unionized to hedge pressures of gentrification in Roxbury. This point was pushed to the brink of investors pulling out of the project, which completely shut down development of the site. Just so we’re clear, the dispute over hotel jobs at Parcel 9 entailed a difference in hourly pay of $13.90/hour for non-union positions, and about $18/hour for union positions. The dispute was at odds with contracted construction work worth nearly $20 million dollars, not to mention the ancillary business opportunities required to service a 108 room hotel, 50 apartments, and street level retail. We all appreciate the need to fight for good jobs that provide a living wage. But in so doing, do we risk cutting off our nose despite our face? It’s a hard and odd question to ask, but what do we stand to lose for such advocacy? It’s instructive and helpful to look at the numbers and what recent census data says. $13.90/hour yields a yearly salary of $28,912. $18/hour yields a yearly salary of $37,440. If we consider $13.90/hour @ $28,912 yearly being the family income, this is just shy, by about 2%, of the Roxbury median income of $29,500 for 2010 census data. $18/hour @ $37,440 yearly is above the Roxbury median income by about 27%. The argument isn’t about having more $18/hour opportunities over opportunities offering much less. Higher paying jobs are no doubt better. That’s why a minimum wage of at least $15/hour is good advocacy: it instantly pushes the median income up appreciably! The question is though: is fear of gentrification and Roxbury’s changing face an argument in our best interest for insisting a card check neutrality agreement be signed by perspective hotel investors at P9 in order to get pay on par with what union employees make? Given what we can potentially lose, these arguments are not in our best interest! Again, the data provides instructive insight. The median sale price of a home in Roxbury is about $305,000 and climbing fast. Based on census data, and using a maximum of 25% of a family’s household income, if we doubled both set of wages in dispute at Parcel 9, neither would qualify to buy what is considered the median home ($28,912/yr @ $13.9/hr X 2 = $57,824 and $37,440/yr @ $18/hr X 2 = $74,880 are salaries below the $74,999 household income required to purchase a $300,000 home, never mind the median priced $305,000 dollar home and beyond!). Let’s face it, we can’t hold the ground we don’t own! Owning is our best hedge against gentrification! Contrast the wages disputed at Parcel 9 over hotel work to a carpenter earning the prevailing wage of $66/hour at Parcel 9. That prevailing wage, union or non-union, translates to a yearly salary of $137,280. If a household is blessed to have two similar salaries, as in the example above, the yearly household income of $274,560 puts this family comfortably into the Roxbury 1% and into the Boston 6.6%. This point is moot if it only pits higher wage workers against lower wage workers! Don’t go there! It’s not constructive! There is no doubt higher wage construction workers can afford to buy and stay, over their lower wage neighbors. The point is not to pick one over the other. Rather, the argument should only be about pushing wages higher. We don’t need union agreements to do that. At P9, the insistence on union card check neutrality adoption by developers only inflamed negotiations and risked opportunity for hotel workers, carpenters and everybody else in Roxbury that would be included in the economy to build and run a hotel. The operative word is “included”, which is how we started this discussion in the first place! Despite the city of Boston claiming to be a world class progressive city, it’s not because too many of her people are left out. And people make any city! Of metropolitan cities in the US, Boston claims third highest in income inequality. As its own data shows, Boston’s high ranking income inequality can plausibly be linked to poor policies around inclusion and diversity! 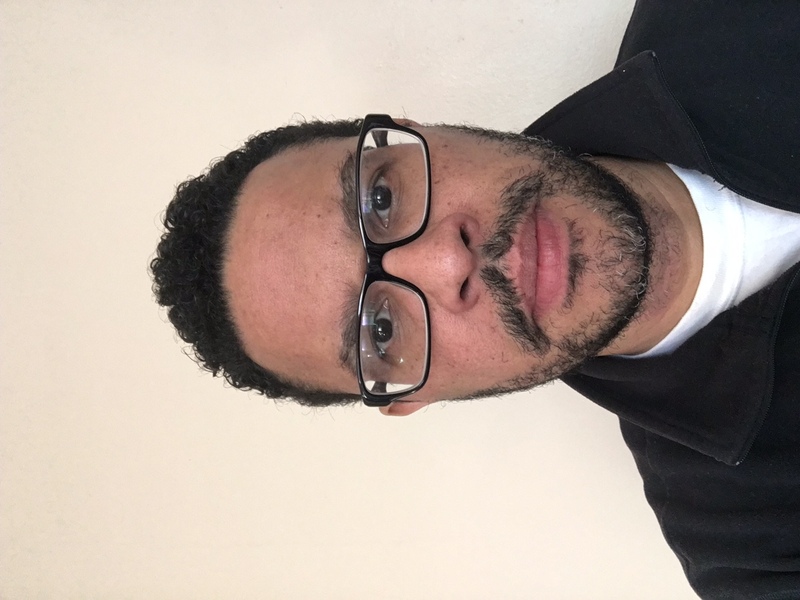 Given middle class flight and disinvestment, Roxbury needs more businesses willing to take a risk and start anew, and workers in these new efforts need not be unionized to share in that wealth. Our first motivation should always be inclusion and one city, not the tale of two cities, where opportunities abound and an opportunity divide coexist. Higher, equivalent wages and community benefits, the deal struck in the end at P9, is policy that preserves opportunity for all and gets us closer to one Boston. While the process for P9 dragged on, dialog, debate and discussion was open and transparent. Compared to Archer-Bonnell, a DND site just outside of Dudley Square, the city needs to be mindful of bias corrupting the process of awarding RFP bids for land disposition and eventual development. The Waldwin Company won the bid to develop a Dunkin Donuts at the Archer-Bonnell site near Dudley Square, over competing bids from Mainline and Urbanica. Unfortunately, cloning franchised businesses at important gateway locations in Dudley Square with the likes of Dunkin Donuts, Macdonald’s and the odd fried chicken joint is not what the community expressed a need for. In fact, the community vision was very clear when it came to the businesses and the kind of development it wanted to see at Archer-Bonnell. The Waldwin response ignored that community vision entirely. Mainline’s response to the community’s vision was favored most, followed by Urbanica’s response. That’s right, Waldwin’s response was favored least of all the bids and was dead last in coUrbanize online community forum comments for Archer-Bonnell. Recognizing there are many ways to engage and solicit community input, in the case of Archer-Bonnell, coUrbanize did tease out the idea that folks were done with development that wasn’t thoughtful and didn’t address their vision. What was said loud and clear: we need thoughtful businesses and ventures that support and grow the fabric of the community in ways that engage folks for a better future. Mainline’s bid seemed to address this community vision best and also offered housing that was very affordable to buy. In the end at Archer-Bonnell, we got another franchised business and not such great jobs opportunities, along with rental housing options that are our worst hedge against gentrification. While Waldwin is no rogue developer like Joe LaRosa, with recent Cedar Street development in Roxbury that boasts a brazen, and unapologetic conflict of interest between city officials at ISD and the process meant to protect communities, Waldwin did project its own vision of development over the community’s by ignoring its voice! And Waldwin is certainly no Cruz Development when it comes to development project diversity, as they never committed to worker utilization numbers to build out the site and had no goal for M/WBE sub-contracting utilization. Outrageous when majority white firms have no goal for MBE utilization, but what is such behavior considered when a black firm has no MBE utilization goal? And where’s the wealth-building for Roxbury if few to none of Waldwin’s MBE subs and support staff are from the city of Boston? Moreover, Waldwin won the bid principally on its ability to fund execution of the rental project it wanted, while Mainline received bad grades on expected funding sources the city routinely avails developers like Mainline when they try to address affordable homeownership and other housing program opportunities expressed by the community. The motivations for using an electronic application like coUrbanize to solicit community input are many. But sadly, transparency, from the community’s perspective, doesn’t appear to be a good reason for its use. Of the three development projects I know of, the coUrbanize process of engagement definitely got folks to chime in, however, 280-290 Warren Street in Roxbury was the only outcome where the winning bid, or bid with the most community momentum was correctly reflected in the coUrbanize data. The one other project I’ve seen coUrbanize used for is location of the Conservatory Lab Charter school at Nuestra’s development site at Bartlett Place (mentioned above). In the case of Bartlett Place very few opposition voices, of which a majority exists, have posted opposition comments, rendering the data skewed in the affirmative. Even more troubling, Nuestra, the developer, routinely uses this skewed data as proof folks in Roxbury want a charter school, when in fact most do not. It’s important to note there are very real and significant impacts to a city like ours that continues to grow more and more diverse, but where that increasingly diverse population doesn’t share in and is not included in plans for economic empowerment that should be afforded to all. Nowhere are these impacts of inclusion more keenly felt than on our youth. Young people are very impressionable. If our young don’t see themselves represented in any work, career or professional capacity in their own neighborhoods, what confidence are we building in them about what’s possible relative to becoming what they dream? And if all a young person sees are the ill effects of the socio-economic divide and hopelessness in his or her neighborhood do we then give that young person the opportunity to give up on their dreams, rather than pursue them? Last December, Mayor Martin Walsh delivered a speech to a packed crowd of community members attending the My Brother’s Keeper summit in Roxbury where he said: “Injustice lies in conditions that create hopelessness.” He went on to say, “It’s up to us to root it out, and make faith and hope grow.” My Brother’s Keeper is a national effort that provides support to young people, motivating them to think more broadly about their future, particularly in those critical life-changing moments. 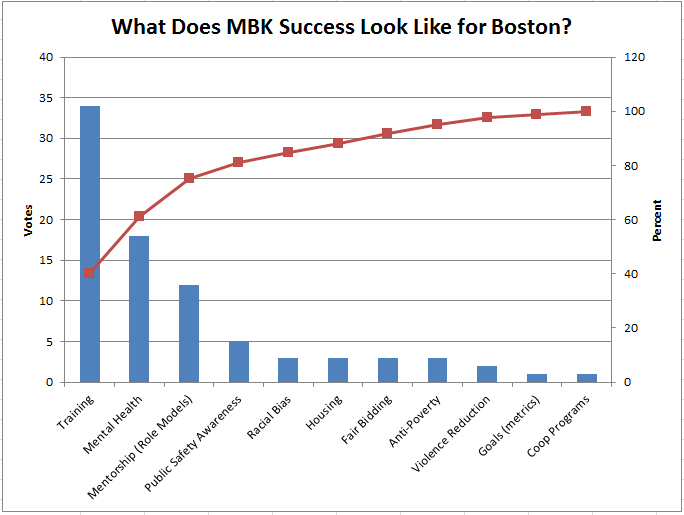 Based on collected data from breakout sessions, more than 80% of voting dictates that a successful MBK campaign in Boston must address: 1-training; 2-mental health; 3-mentorship opportunities (role models); and 4-public safety awareness, in that order of priority. Given such data and noting training was identified as the first priority, it was quite right for the mayor and his administration to focus on how we, as a city, go about preparing young folks for the world of work. No doubt the mayor’s visit to Madison Park High at the beginning of the 2015/2016 school year was much more than a symbolic gesture meant to address training that has missed the mark, as Madison Park is the natural feeder institution to the trades, currently in demand in our city. But if MBK strategies and indicators call for “developing a data-driven process for ranking businesses based on their employment of Black and Latino young adults”, what conclusion do we draw when we already have that data, recognizing that the city never acts on such data? Why do we need to re-invent the wheel? We have detailed employment data for workers and contracts for businesses our city works with! And that data says, courtesy of a free press, we are not data-driven at all for the adults, the folks looking after the young adults. How do we expect to become data-driven for the young adults, when we ignore the need to be data-driven for adults? Aren’t we just preparing our kids for a dead-end and more disappointment? 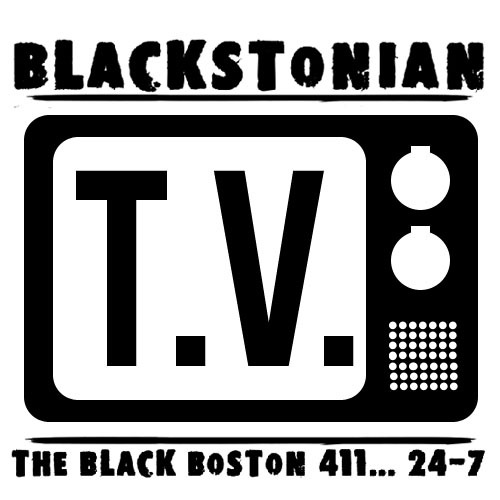 Moreover, with the roll out of Boston MBK, the action plan cites a “revised strategy for increasing the number of businesses owned by people of color and women doing business with the City of Boston” and the “number of Black and Latino residents employed by the City of Boston” respectively, as a strategy and metric for addressing the seemingly stacked deck and long odds youth of color face every time they go looking for employment. As harsh and unjust as this may seem, the more significant injustice is not recognizing the obvious disconnect existing workforce diversity data represents now for any person of color looking for work in Boston! 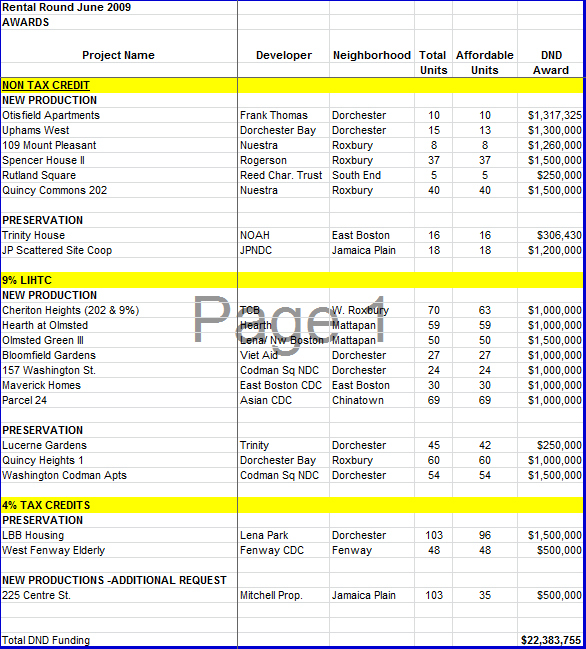 For many it’s easy see how we can spend billions in Roxbury, without spending a dime on Roxbury! When it’s clear that money is spent on us, not missing us all around, with better educational, work and business opportunities, folks begin to realize an ownership stake in the city of Boston is possible. Recent terror attacks in Paris teach us we don’t need to build walls around our borders or segregate our population by issuing ID badges. God forbid! Rather, events in Paris teach us that festering injustice, giving rise to a vulnerable hopelessness, is too often sold a ideological narrative of violence that is accepted, with tragic ends. None of us are suggesting we condone violence as a solution to our problems, but what does it take to make the connection between socio-economic isolation/condition/mobility and violence? Does it take needless loss of life in a terror attack to recognize a society isn’t inclusive in terms of: educational opportunities, work opportunities, business opportunities, and housing? How are events in Paris any different from the gang violence we see on our streets in Boston and beyond? Does it take a leading school of public health like Harvard University, neighboring Boston’s communities of color, to say that violence is a an issue of public health (Deborah Prothrow-Stith) and that socio-economic conditions impact reckoning health disparities (Nancy Krieger)? The alternative to violence must be inclusion! Policy makers and the municipality that is the city of Boston must come to grips with the realization that promoting healthy, thriving communities starts with the premise that opportunity exists to sustain and grow the people in our communities. In order to provide opportunities fairly across the city, we need to shake the stale institutional norms that have held us back from greatness, and being united as a city. We weren’t ready to host an Olympics and it showed! We’re only ready when we’ve figured out how to include the full potential of our collective contributions and we’re all invested in the same purpose.